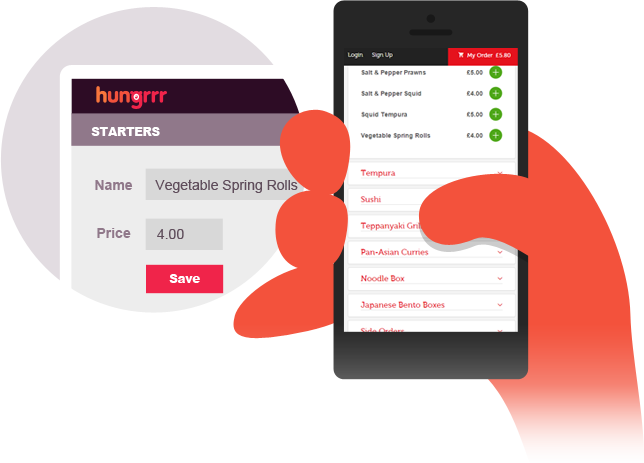 You have full control to add / edit / update your menu items and prices, full training will be provided. You then have the power to maintain your menus in-house. Not only that the full system is branded using your own logo and colour scheme so you do not lose your identity with your loyal customers. We will have an initial call with you to obtain basic information like delivery radius, delivery costs and a copy of your Menu. 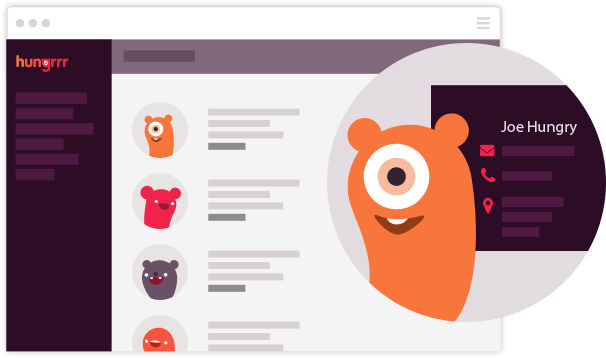 The Hungrrr team will then setup the website for you for launch. We will provide and assist with setup of printer. Full training provided on how you manage your website and Menu. 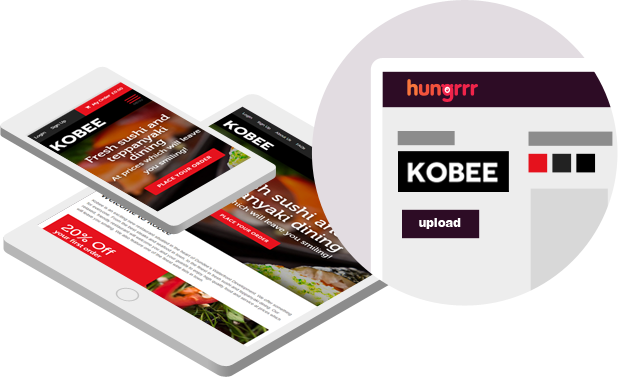 At the point that your website and / or mobile phone apps are ready to go live we will also setup your printer so that your Kitchen and team are trained and ready to start taking orders from all of your Hungrrry customers. SIM card setup and SMS texts included in monthly cost. Support on hand 24/7 for any Printer related issues. 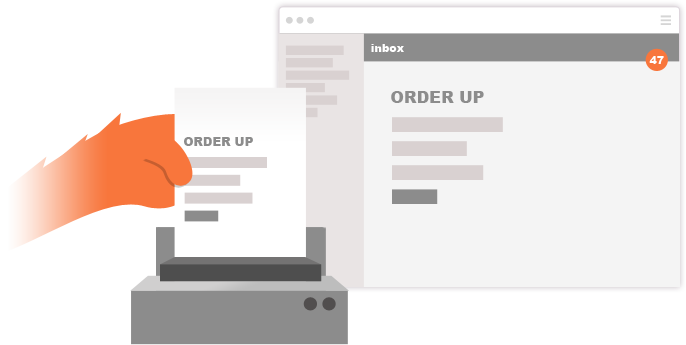 You also have the option to receive orders via email as a backup. 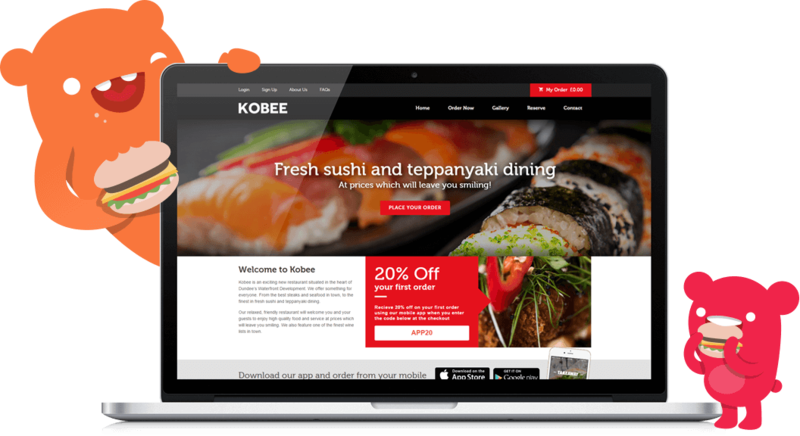 Using our expertise in web applications and online payments we have created a very simple process for you to be taking orders from your customers in no time via your own branded website and apps. We will take you through the short setup process for you to receive the money from orders straight to your bank account. No Internet Merchant Number required (MID). Your website and App will be safe and secure for your customers. Peace of mind knowing that your online business is supported by a world-class provider. 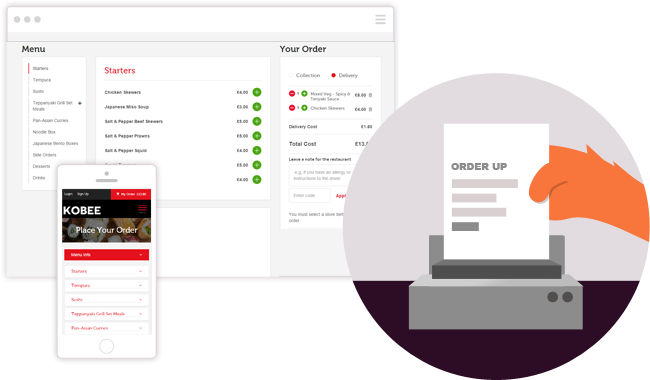 Unlike other online food ordering companies, at Hungrrr we believe that the more control you have of your own business the better, and that is why we have created a super-easy interface for you to manage it yourself. Full training will be provided on setup and on request anytime. You can add / edit / delete any item on your menu at the touch of a button yourself. You can update delivery costs and opening times yourself. Full support from the Hungrrr team is on hand if ever you wish. For each order you take via the website or mobile phone app you will also be collecting each of your customers email addresses for your own marketing purposes. You can then contact your customers via email with offers and promotions. Target your customers based on their location or food preferences. You are in full-control of your own customers data. At Hungrrr we will never use or distribute any of your customer data. 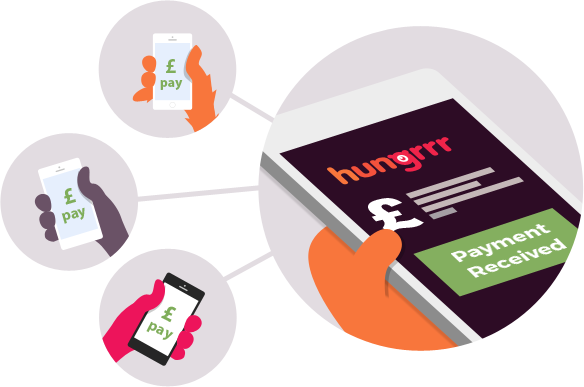 Further utulising our expertise at Hungrrr, we have setup a solution so that whether you have one location or multiple locations the website can be setup to direct your customers to the nearest store to them based on their postcode. 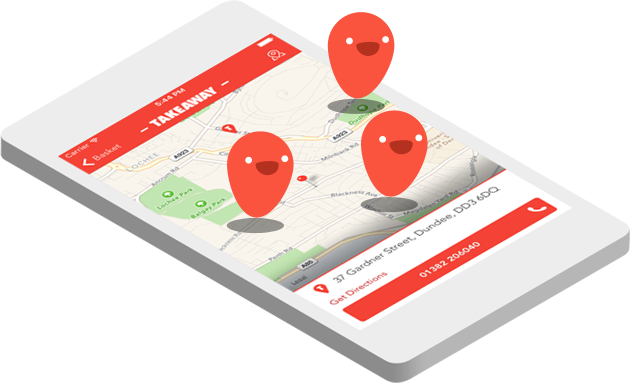 You can serve your nearest location to the customer based on their postcode. You can start with one location and add other locations anytime. Different locations can offer different delivery prices. Your orders would then be sent to the respective store based on nearest to customer. As part of the setup we will also guide you through creating your own payment gateway so you receive the funds quickly and easily from your orders once you are up and running. You are in full control of setting up which bank account you would like the funds transferred into. Money would be paid direct into your account as required. Hungrrr take no commission on your orders. You are in complete control knowing that your monthly fee to Hungrrr is fixed each month.